Make a statement with this faux stone design. Everybody loves a Target hack. This $24.99 lamp is instantly made even more chic with a bit of carefully placed contact paper around the base. Transform a plain white canvas into this modern piece of wall art. It also sits perfectly on a desk or bedside table. This chic ikea hack transforms a simple white HEMNES nightstand into an amazing marble statement piece. All you need is a roll of white and gray marble contact paper and an eye-catching knob (this one’s from Anthropologie). Transform any basic breakfast tray into a marble masterpiece with marble contact paper An X-Acto Knife makes it easy to achieve sharp corners. These books make the perfect gift for a friend or hostess. 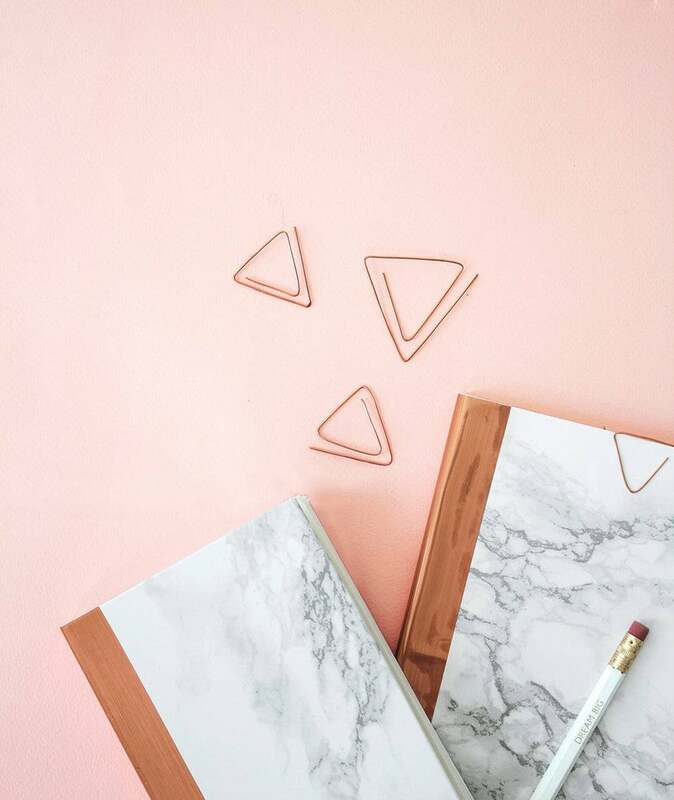 All you need is a couple of plain notebooks, self-adhesive paper in marble and copper finishes, and a few tools for cutting. It’s so easy, and everyone will want one. Contact paper lets you create chic marble shelves for any room without the high price tag or the weight of natural stone. Best of all, the EKBY LAIVA shelf and EKBY STODIS shelf brackets are both available at IKEA. This Kmart hack is the easiest way to secure a marble timepiece on a budget. Transform a simple bar cart from IKEA into a faux marble piece that’s sure to be a conversation piece. A sharp utility knife is essential for achieving crisp edges in this clever DIY. It adds instant character to your laptop. Turn any tray into tabletop eye candy by adding marble contact paper to the center. Just when you thought it was all about contact paper, this DIY uses clay to create a faux marble effect. By combining and rolling out white and gray clay, you can achieve this realistic marble look. Then, simply trim the edges with gold paint. Yes, even wallpaper comes in a faux marble finish. When simple neutrals aren’t quite enough, the subtle marble veining conveys a soft look with a touch of pattern and movement. Simple and glamorous—this frame is the perfect home for moody black and white photography. Nothing looks more chic than a succulent planter in a marble finish.